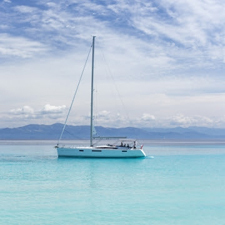 7 night cruises around the beautiful Ionian Sea on a choice of three stylish craft. 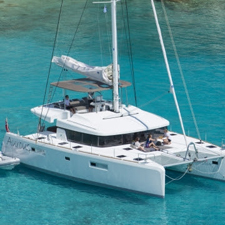 There is a choice from one of our two stylish yachts – Argentous and Jeannous or the sleek catamaran Aurous. Each vessel has comfortable, air-conditioned cabins, a professional skipper, private chef and watersport facilities. The onboard service is personalised and attentive, yet unobtrusive. Once onboard, your clients can be as active or relaxed as they desire. The decision of an onboard dining experience or eating in a traditional, shoreline taverna is also theirs (included). Guests can sit back, enjoy and prepare to be pampered – no experience required. A stylish 57ft yacht that provides the services of a boutique hotel. 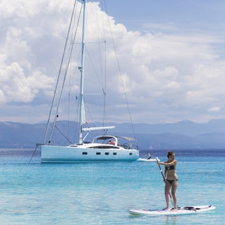 From a private chef to a 30 knot speed boat, water skis, wake boards and stand-up-paddleboards there is much to experience and enjoy both off and onboard. Jeannous has 3 double, ensuite cabins and plenty of space for dining and relaxing.Your client will enjoy the luxuries of a villa whilst waking up in a different location every morning.